Our Lodge is now in Summer Recess and our next regular meeting is our AGM on Wednesday 4th September. Can I take this opportunity to wish brethren and their families everywhere all the very best of the Summer and I look forward to seeing you all again in the second part of the season. If you would like to get in touch over the summer, please don't hesitate to contact the secretary. Our last meeting proved to be one to remember. We had excellent deputations from The Provincial Grand Lodge of Midlothian, Lodge Penicuik & West Linton 429 and the Loretto Centenery Lodge 1373. We had 104 brethren sign the attendance book and during the evening Bro. Tom Smith R.W.P.G.M. presented a 60 year diploma to Bro. Alastair Smith P.M. and a Distinguished Service Certificate to Bro. Peter Richie P.M. And I had the pleasure of conferring Honorary Membership to Bro. Stephen Humphries P.M. 429 and P.M. 1373. ​You can see photographs from the night HERE. 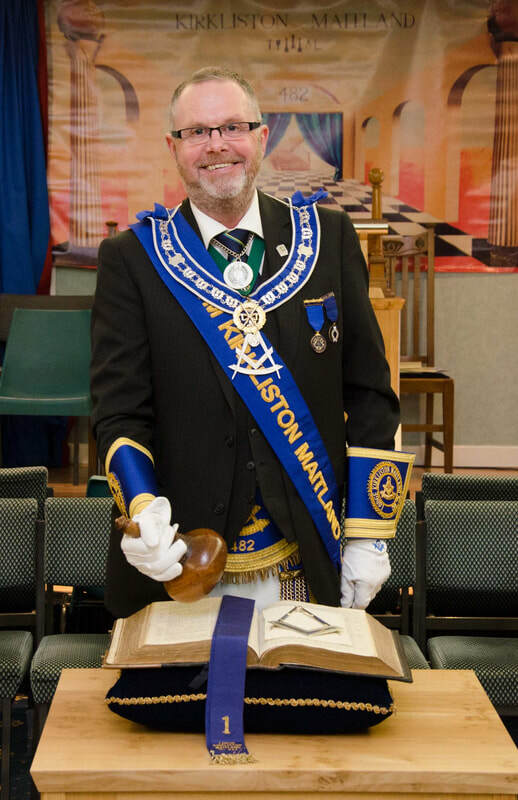 Lodge Kirkliston Maitland 482 meet in Kirkliston Bowling Club on the 1st & 3rd Wednesday of each month from September to April and if you'd like to get in touch, please visit our contact page. ​All our events and meetings for the second half of the season can be found here. The 482 blog page aims to keep you up-to-date with all the news at Lodge Kirkliston Maitland. ​To visit, please click here. Lodge Kirkliston Maitland 482 is a member of the Provincial Grand Lodge of Midlothian. For details of all Lodges in our province, please visit the PGLM web site.